I’ve been rather busy of late, and it’s been raining here in buckets, so finding the time for photographing a board has been tricky. 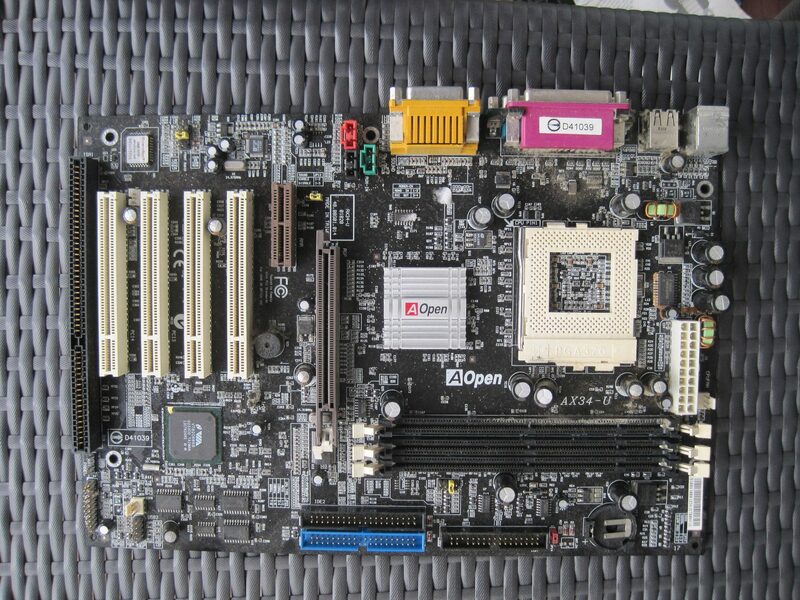 In any case I had some time today and have found a socket 370 board made by Aopen. I wasn’t able to decipher the date of manufacture from any of the date codes on the board, but it’s almost certainly made around the early 2000’s. It supports the Tualatin and Coppermine cores of the Pentiun III and Celeron chips. The Coppermine ones had a reputation of being quite good at over-clocking at the time. Looking at the board as a whole the layout is pretty standard for the time, although I’m puzzled as to why the AMR slot is right next to the AGP slot. I’ve never seen an AMR card in the wild, probably because they were pretty poor software modems. On this board it occupies what would be a prime spot for a PCI slot, which I’d much rather have. You’ll also note it still has a legacy ISA slot, something which disappeared from consumer hardware in a few short years around the time this board was made. ISA slots stuck around for a surprisingly long time, partly due to the amount of hardware that was made for it. It was used for many unusual cards some for controlling industrial machines. I have one somewhere that was used as a lighting controller for dance floor lighting in a pub. Machines made for industrial conditions kept the ISA slot for much longer. 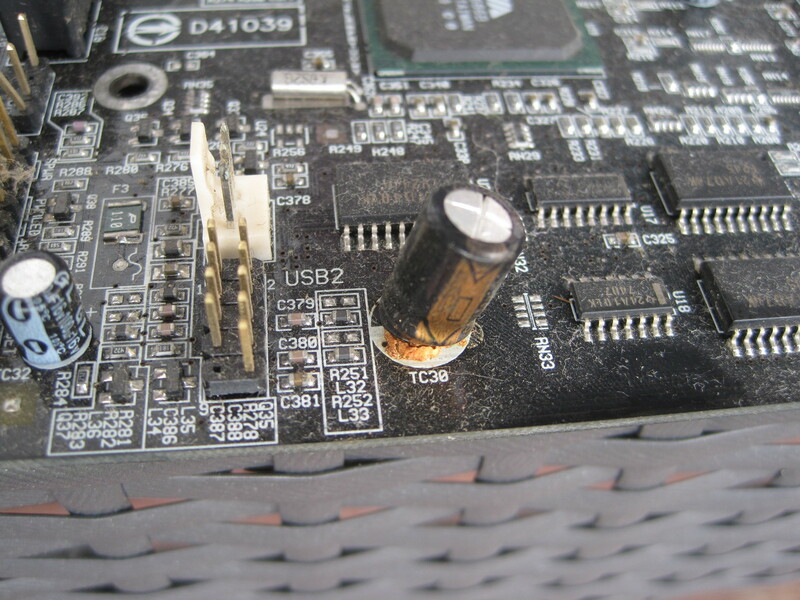 Unfortunately this board seems to have suffered leaky caps, a common cause of failure for many electronics. One has coated a surrounding chip with it’s goo. This kind of problem can be repaired, but it isn’t usually done because of the time or cost involved if you pay someone to do it. If you have the time, patience and skill you can clean up the goo and replace the caps, often restoring the device to functionality. I’m not confident I can repair this yet, as my soldering skills are pretty much hobbyist level. 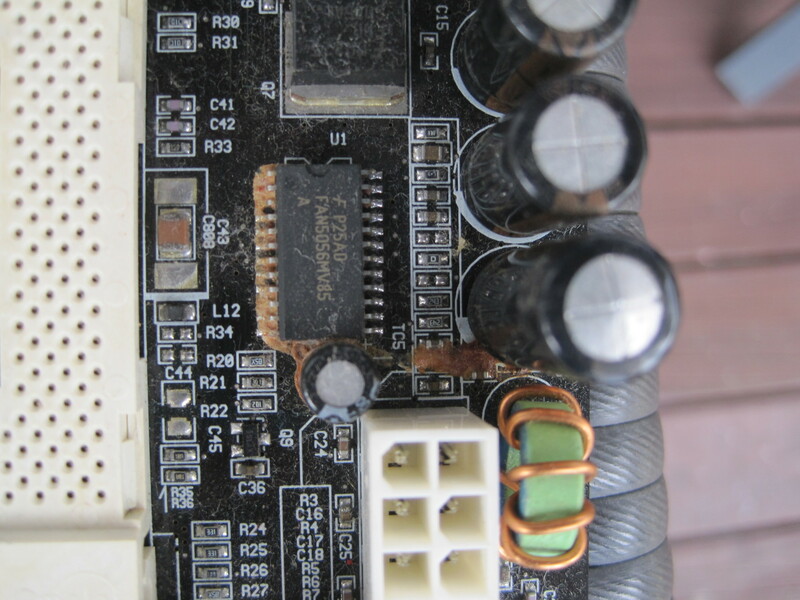 It’s easy to damage a board like this as it has very fine traces and small pads designed for machine assembly. Performance wise this would have been quite a nice piece of kit. It has a VIA Apollo Pro 133T chipset which was a reasonable performer as well as being cheaper than alternatives. It had room for 1.5Gb of RAM providing you used the expensive-at-the-time 512Mb modules. With only 3 SDRAM slots you couldn’t use many of the cheaper sticks to make up the difference, but few people were going for more than 0.5Gb of RAM at the time. From a technicians point of view it’s fine in terms of specs, but the board silk-screen isn’t as helpful as others when connecting the front panel and setting jumpers. The front panel is marked, but isn’t real easy to read, which can be worse in the tight confines of a case. Luckily there aren’t too many jumpers as software controls much of the settings, most of the jumpers you won’t need to touch with perhaps the exception of the one that sets the FSB speed. The manual is also still available if you need further help. As an end user this would have been quite a good buy, it has most things you need integrated (except NIC) and has a decent chipset with support for a decent range of configurations. You could build either a cheap and cheerful machine, or something with pretty good performance with a board like this one.